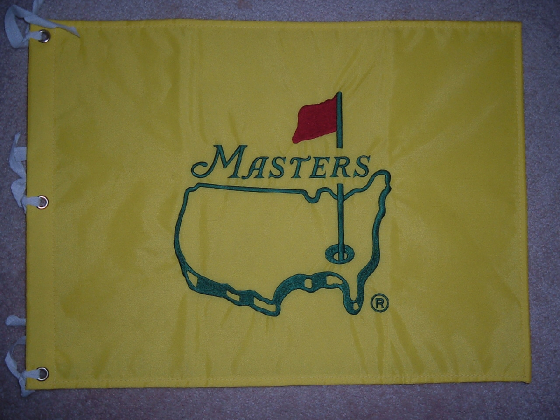 An Actual Masters Tournament Used Flag. Actual used flags have a plastic tube connected to them. I have seen several reproduction for sale Value: $800-1200 I have seen a few sold on eBay recently. 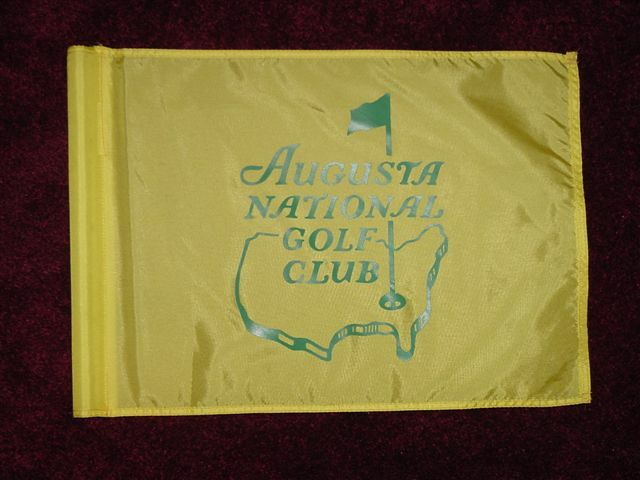 In the early 1990's Augusta National started selling souvenir Masters Flags. I never bought any because they were very thin and when they were signed the autographs bleeded. 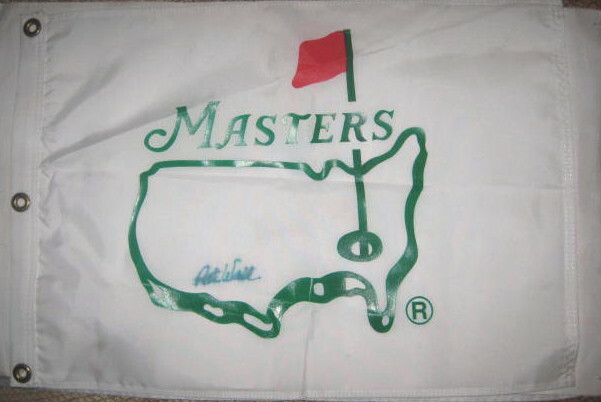 I got almost all my autographs on Augusta National Scorecards until these nice heavy flag were introduced in 1997. 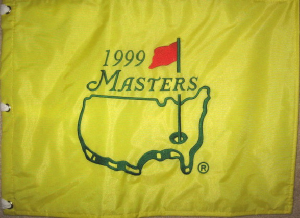 A 1997 Masters Flag This is the nicest Masters flag. 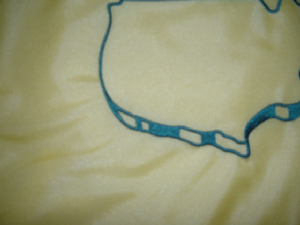 It is a thick flag and it is fully embroidered in the middle of the Logo. 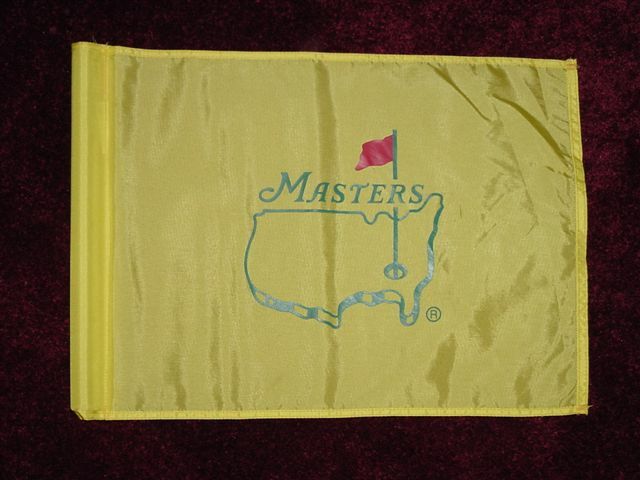 This flag is popular because it is Tiger first major and it was sold before collecting Masters Flags became popular. Value as gone down a bit I think unsigned it is $2500-3000 and signed still around $4000. 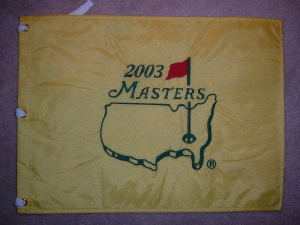 Recently there has been several FAKE 1997 Masters flag being sold. 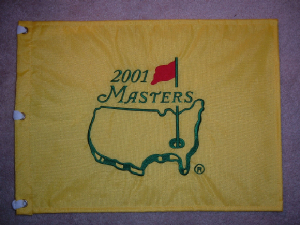 Just looking at the photographs it is hard to tell the difference between an authentic 1997 flag and the fake ones. Here are a few of the differences. 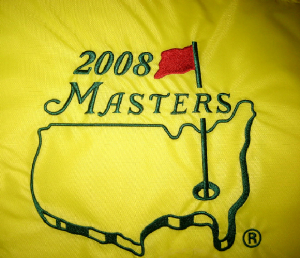 First, The grommets are much more goldish in color on the counterfeit compared the an authentic 1997 Masters flag. 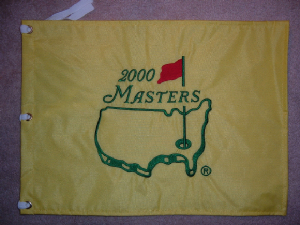 Second, The flag size of the counterfeit is slightly smaller than that of the authentic Masters Flag. 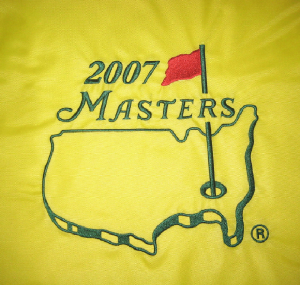 Third, The yellow embroider stitching of the Masters logo is more defined with straight lines, and with the green border logo stitching it is even more evident. 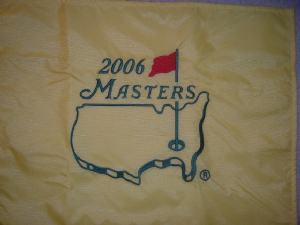 Forth, The material of the flag is slightly different, more course on the counterfeit/fake. 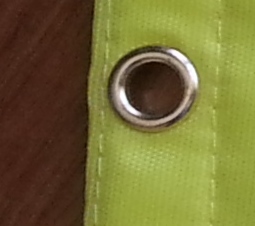 6th Authentic flag came with the White straps attached to the grommets. I photograph above I removed the white straps because it was framed. Most of the fake ones don't have the white straps. 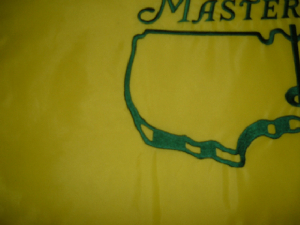 Close up of the embroidery on a Fake 1997 Masters flag. Notice the Corn Rows which is not as apparent on the authentic flag. 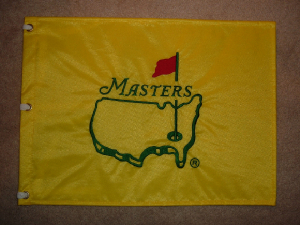 A authentic 1997 Masters flag still in the package. 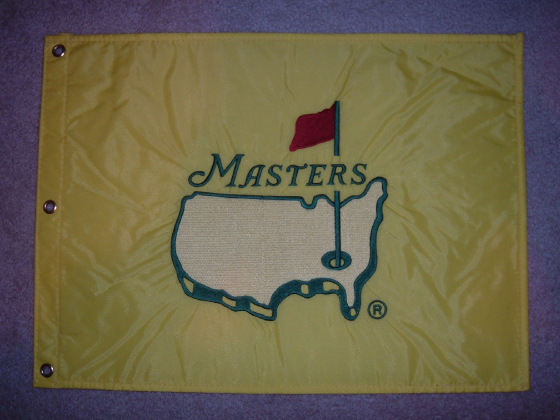 Undated Masters Flag Post-1999 Value : $120-150 These were sold in 2002 for a short time and are sold to Augusta National Memebers and former Masters Champions. 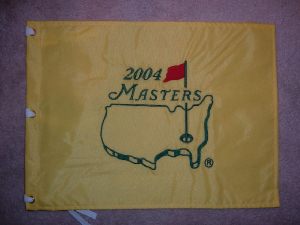 I was recently informed by a collector that you can tell the difference between Pre-1999 and Post-1999 Masters flags by gap in the shadow stiching under California / Arizona. 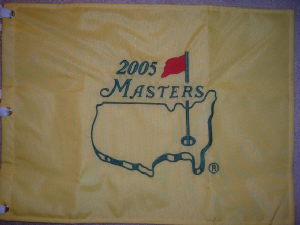 2005 Masters Flag Another Tiger years but I think most importantly it was Jack Nicklaus' Final Masters. Value $40-60 I think over the next few month its value will go up. 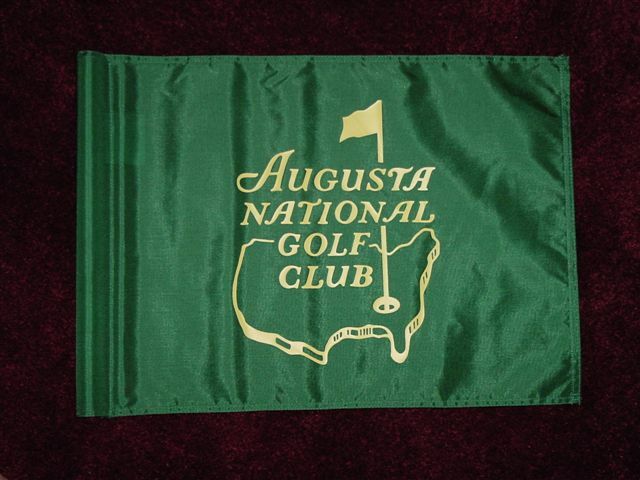 This is a quote from tourflags.com about these flags, " This flag was NOT produced or sold by Augusta National. A collector in Ohio had about 100 of them made in the early 1990s. 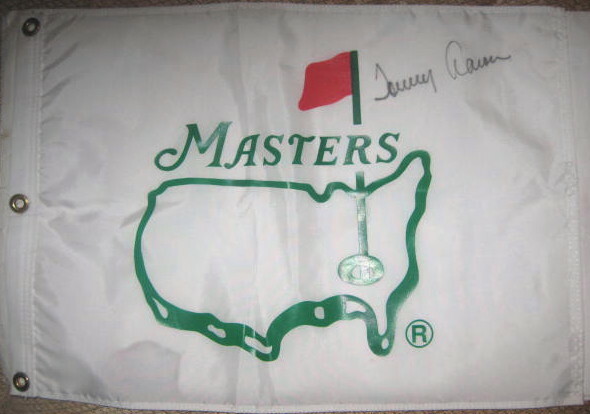 The purpose of making them was to obtain autographs of past champions. 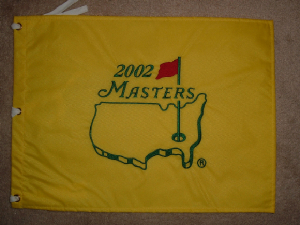 The flags were then mailed to past champions. 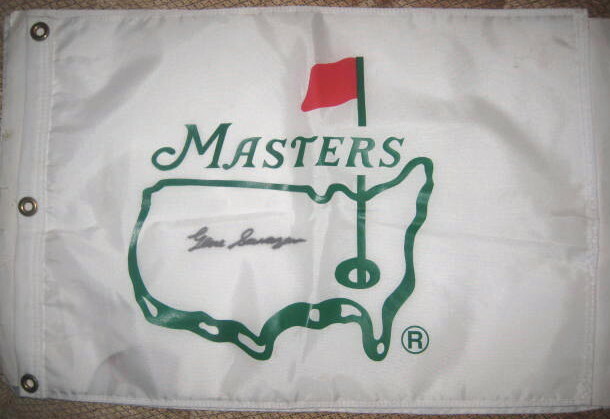 I have yet to see a single unsigned flag. 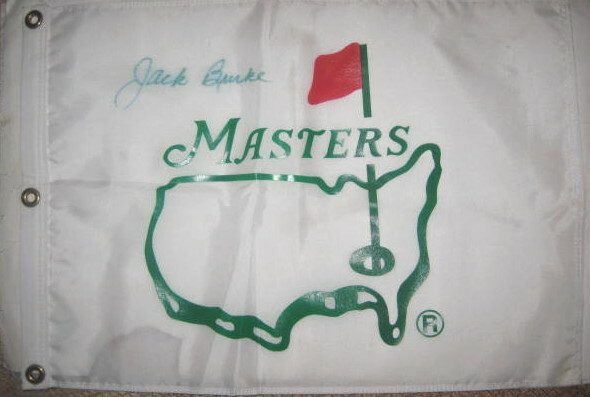 While this flag is not official, it can't exactly be considered fake either, as the gentleman who had the flags produced did so years before Augusta National even had the idea to sell flags. The flag is still rare and desirable "